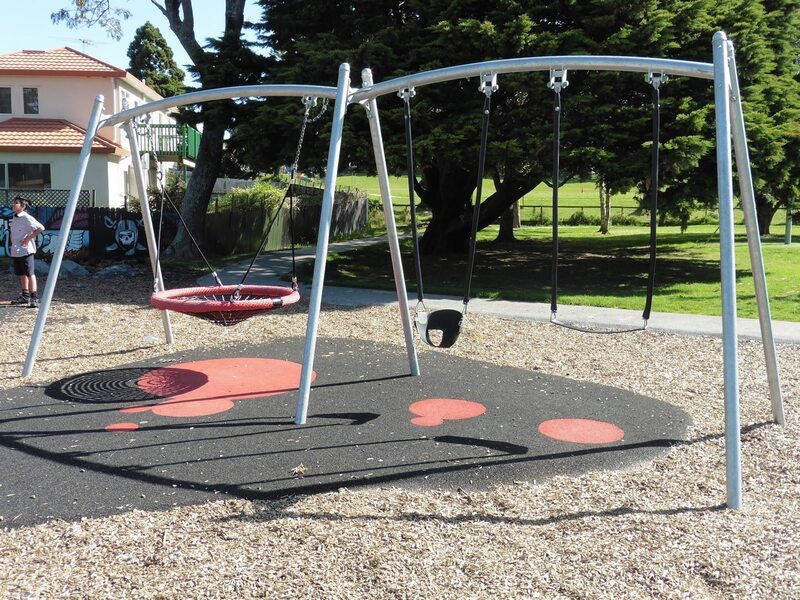 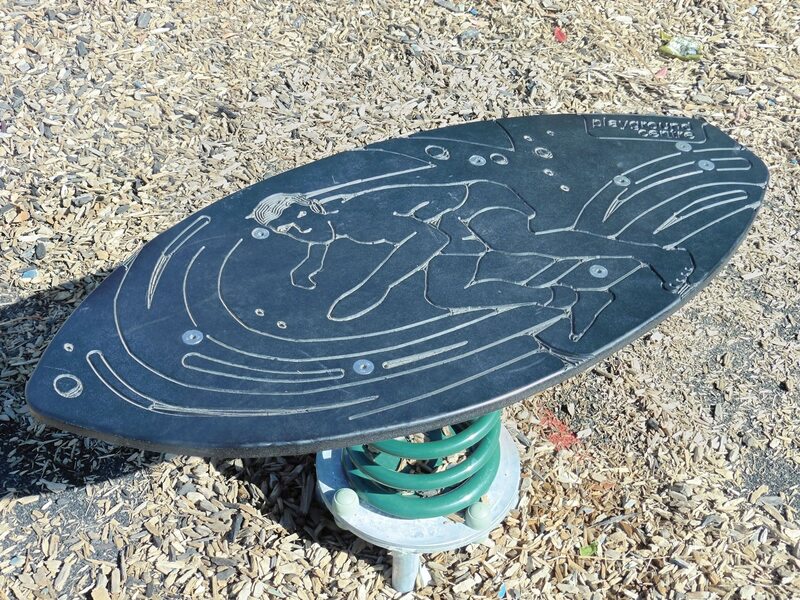 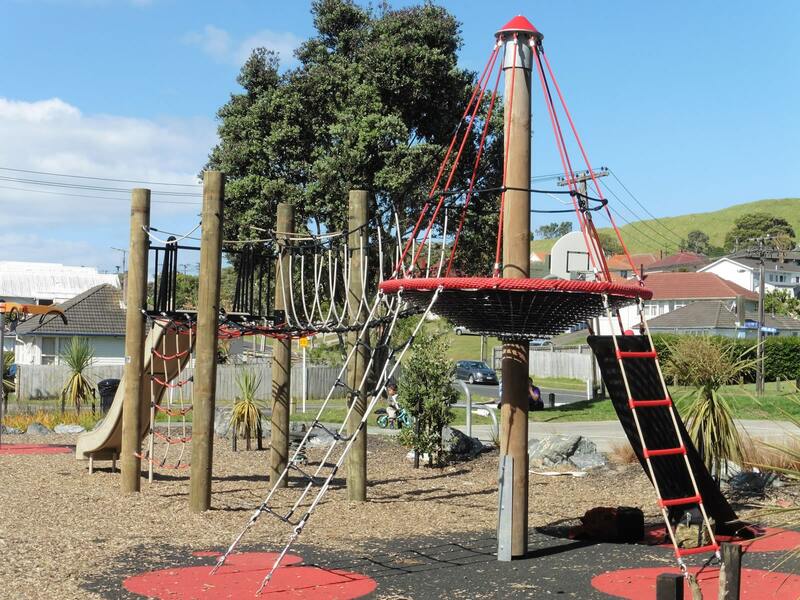 Turner Reserve, a popular park in Auckland’s busy Mount Roskill neighbourhood, needed a significant playground upgrade. 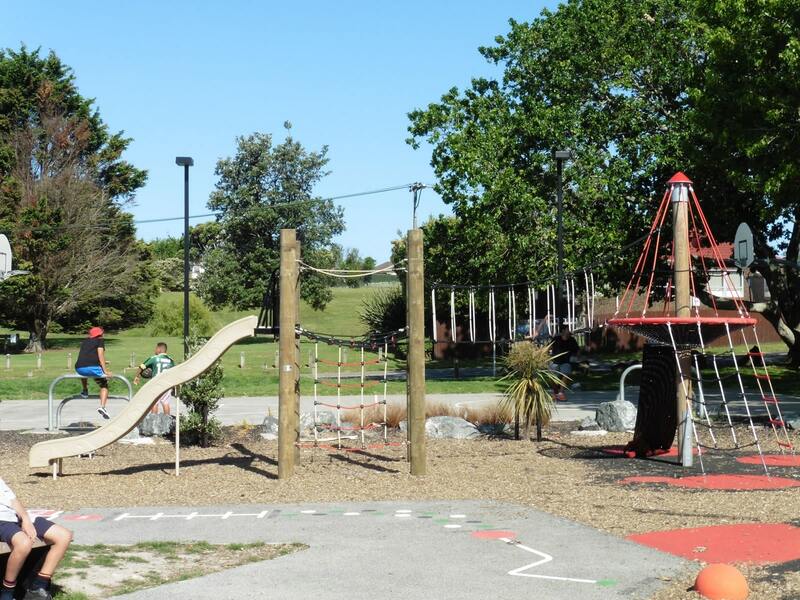 A popular ‘green’ recreation space for locals and visitors, the challenge was to create a space that was unique, inspiring and engaging, with a wide variety of play experiences. 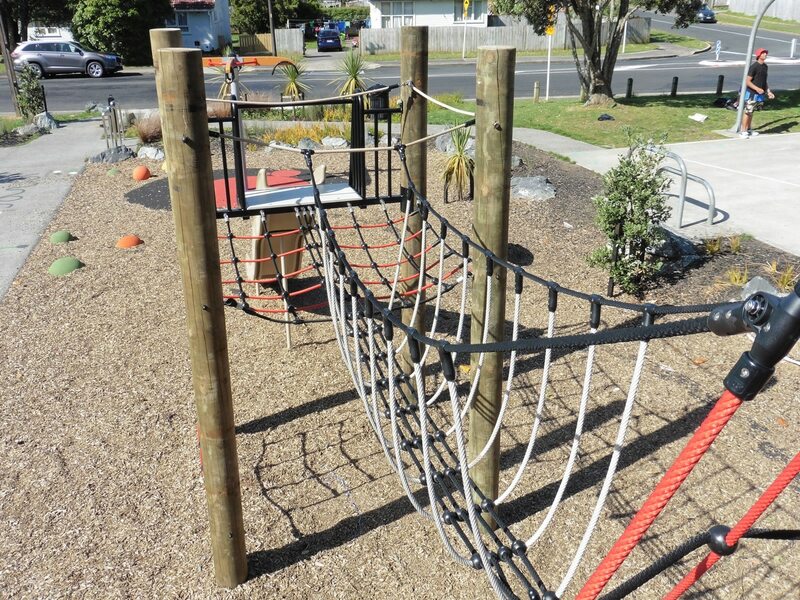 Playground Centre worked closely with Auckland Council to create an exciting playground that could be adapted to fit perfectly within its environment. 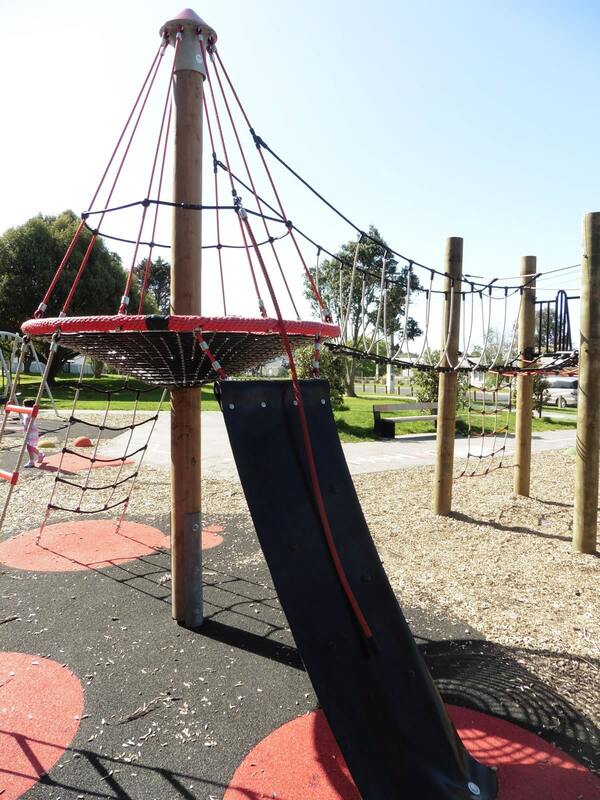 A combination of standard and customised equipment provides a fantastic range of thrills, challenges and developmental opportunities across different ages and abilities. 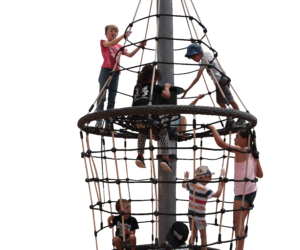 From a flying fox to a suspended ‘Eagle’s Nest’ to climb up to, the playground provides hours of irresistible fun. 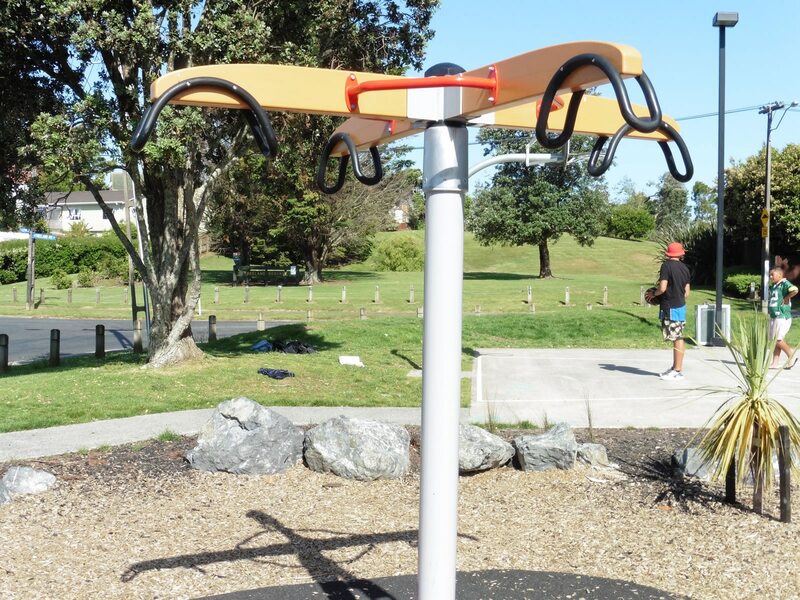 While modern and appealing, the simplicity and versatility of the equipment’s design provided real benefits for the Council and its landscape architects. 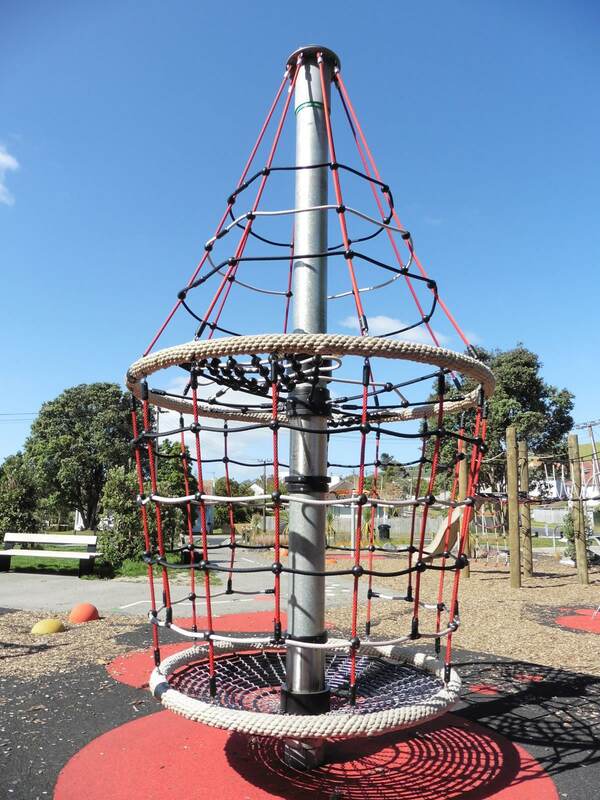 The colours of selected elements, like climbing ropes, were changed to coordinate with rubber surfacing and create a unified look. 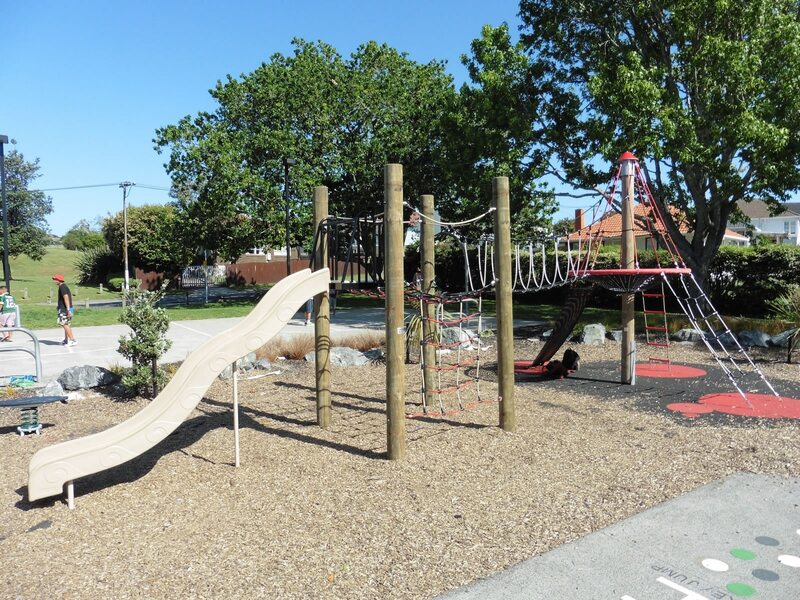 The equipment also blended beautifully with native plantings and pathways that were built around the playground. 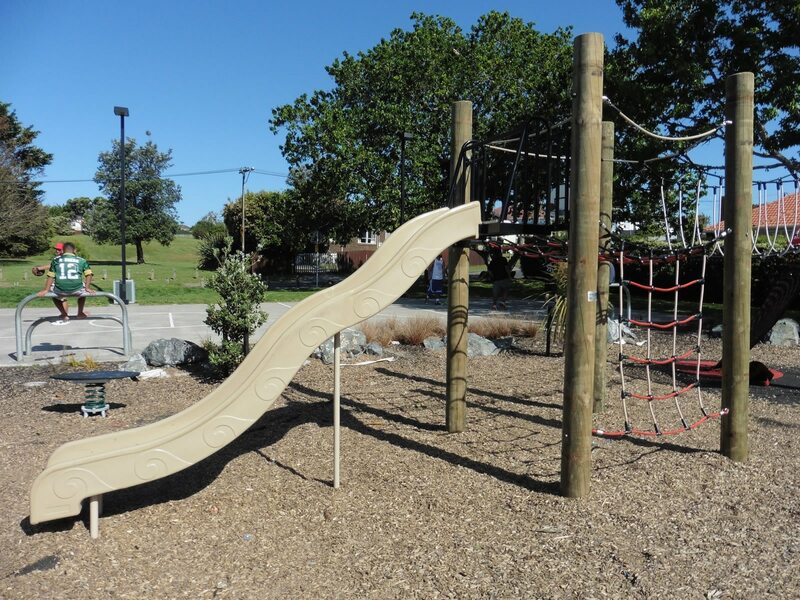 The end result is an exciting, clever play space that complements its environment and provides the safety, strength and durability that a valued community resource demands.